Florence B. 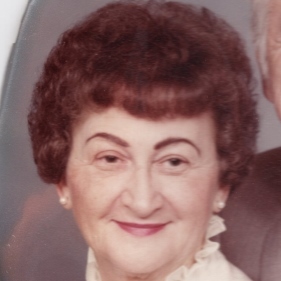 (Roman) (Lukaszewicz) Pencikowski, 96, widow of Henry Lukaszewicz and Raymond Pencikowski, passed away on Friday (October 26, 2018) at Sheriden Woods. Florence was born in Terryville on June 27, 1922 and was a daughter of the late Julius and Sophie (Dzilenski) Roman. Florence was a former parishioner of St. Casimir’s Church, Terryville and is a parishioner at St. Stanislaus Church. She loved baking and, most of all, spending time with her beloved family. Florence is survived by her son: Donald Lukaszewicz and his wife Pamela of Oregon; her daughter: Carol Brouker and her husband Raymond of Terryville; her three grandchildren: Samantha Ceritello, Jason Lukaszewicz, Jared Lukaszewicz; five great grandchildren; and several nieces and nephews. In addition to her two husbands, she is predeceased by her sister: Eleanor Kugler. A Mass of Christian Burial will be celebrated on Tuesday, (October 30, 2018) at 10:30 AM at St. Stanislaus Church, 510 West Street, Bristol. Burial will follow in Sacred Heart Cemetery, New Britain. Relatives and friends may call at Funk Funeral Home, 35 Bellevue Ave., Bristol, on Tuesday from 9 AM to 10 AM. In lieu of flowers, please make memorial donations to St. Stanislaus Church, 510 West Street, Bristol, CT 06010. Please visit Florence’s memorial web-site at www.FunkFuneralHome.com.